Founded in 1920, the Shreveport Sun offices were once located in the heart of the Avenue business district. It is the oldest weekly newspaper for African- Americans in Louisiana, and has served as the voice of black Shreveport for over ninety years. The publication will reach its ninety-fifth anniversary in 2015. The oldest black newspaper in Louisiana that is still in existence is the Shreveport Sun. The Sun was first published in Shreveport on November 6, 1920 by Melvin Lee Collins, Sr. Collins received his college degree from Straight University in New Orleans, Louisiana. 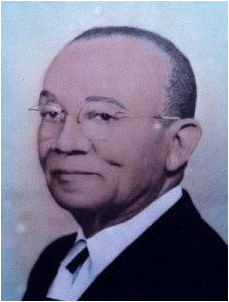 He came back to Shreveport to teach in the early 1900’s and became the first black teacher in Caddo Parish to hold an undergraduate degree in education. He later became principal of the 13th District Normal and Collegiate Institute. However, his love for journalism motivated him to resign from teaching and start Shreveport’s first black weekly newspaper, the Shreveport Sun. The paper moved to 1030 Texas Avenue in the early 1920's. It is presently headquartered on Jewella Avenue. • Published every Thursday by SHREVEPORT SUN PUBLISHING, INC.
• National Newspaper Publishers Association (NNPA): Members-In-Good-Standing. ​• National Endowment for the Humanities/ Southern University at Shreveport Collection Exhibit: Black Ethnic Archives; These collections, which focus on Louisiana history, include the complete run of the Shreveport Sun, "the oldest African American newspaper in Louisiana"; (1927-present). • Business Legacy Award: 3rd Annual State of Black Shreveport Symposium and Economic Summit. The Black Press believes that America can best lead the world from racial and national antagonism when it affords to every man regardless of race, creed or color, his human and legal rights. Hating no man, fearing no man --- THE BLACK PRESS strives to help every man in the firm belief that all men are hurt as long as anyone is held back.